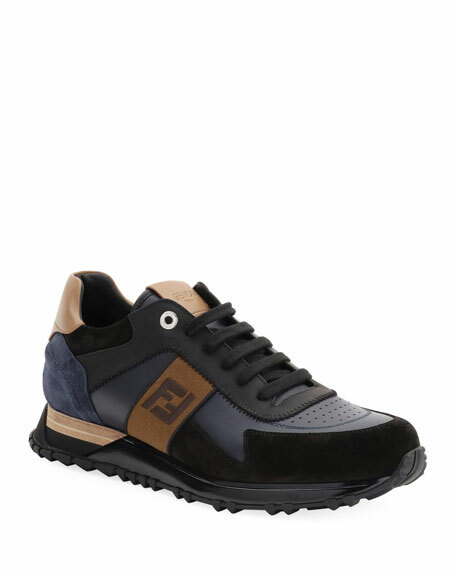 Fendi leather sneakers with "FF" embroidered trim. FF embroidered stripe at side. For in-store inquiries, use sku #2633084. 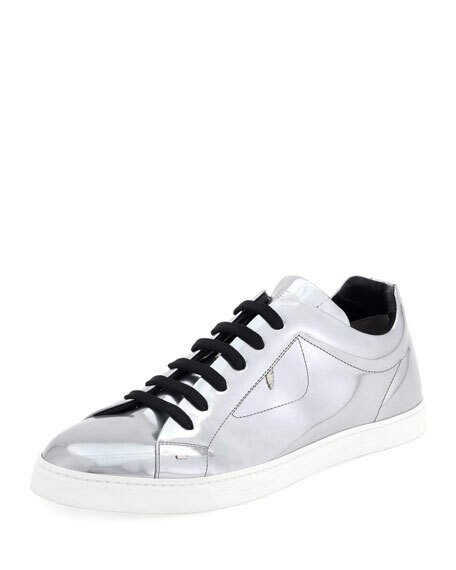 Fendi low-top sneaker in metallic patent leather with tone-on-tone topstitching. Bag Bugs eyes motif with silvertone metal stud pupils. Round toe. 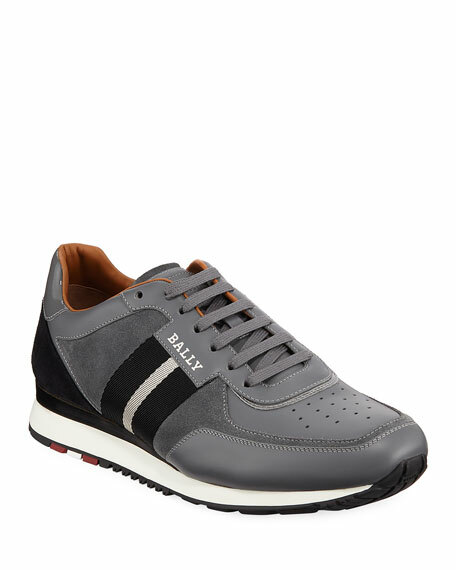 Lace-up front. Logo-embossed tongue. 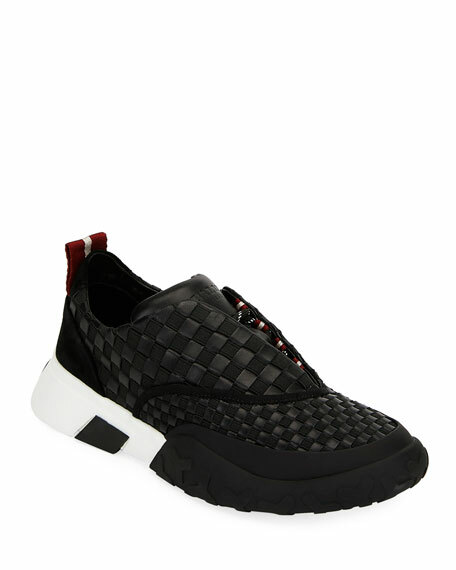 Micromesh lining. 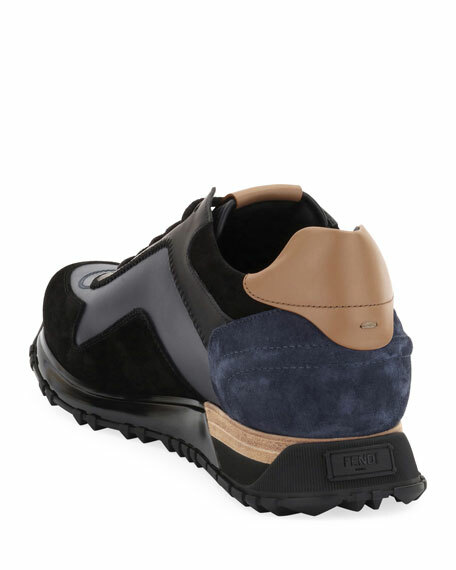 Rubber outsole. Made in Italy.